Dig Deeper! This event is daily. This tour takes place in heritage colliery buildings and although it is suitable for children & adults, we do ask that visitors take care and that children are supervised at all times. Access to the winding gear demonstration part of this tour involves climbing steep stairs. 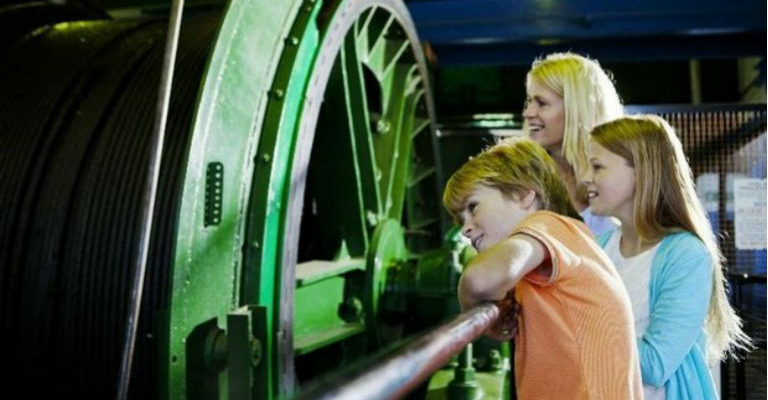 We apologise for any inconvenience this causes, and those unable to climb stairs are welcome to observe the winding gear turning from the lower level of the winding house.